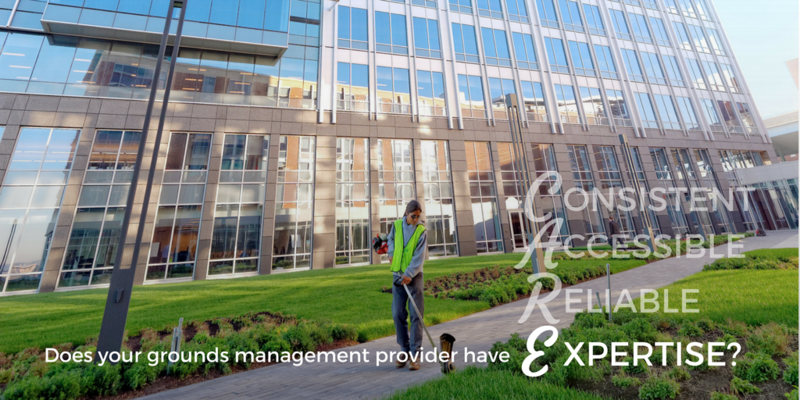 Does your grounds management provider have expertise? Over the last few weeks, we’ve been talking about what we think are the most important factors for delivering great customer service. This series on C.A.R.E.—our four part recipe for providing an exceptional experience for our clients—is finally coming to an end as we discuss the last piece of the equation: expertise. Consistency, accessibility, and reliability are all important values, but without expertise none of them matter. A company who is not adept in the landscaping space can’t be consistent or reliable. And what does it matter if your landscaping or snow removal contractor can be reached at all hours of the day if they don’t know what they’re doing? Below, we take you through several questions to ask to determine whether the grounds management provider you’re considering are truly experts in their field. 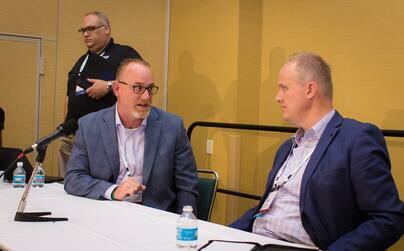 It’s easy for companies to fall into the trap of trying to provide every type of service for every type of customer, especially ones that are still developing. We discovered long ago that focusing on the types of properties that we can provide the highest levels of service to would allow us to achieve the greatest levels of customer satisfaction. As a result, we’ve become experts on the unique needs of commercial property managers and owners. We know how to leverage outdoor space provide experiences that give our commercial clients a significant advantage over their competition, allowing them to attract the type of clients, tenants, or employees they want. Want to learn more about how to get the most out of your landscape? Check out these quick reads for commercial property managers and owners. Are they connected within the industry? Leaders in top-performing companies often have one thing in common: they never stop looking for ways to improve. Even within the landscaping industry, there are hundreds of ways to do that, but the most common is to become connected with any of the myriad local and national professional organizations that cater to grounds maintenance companies. Schill Grounds Management is a member of the Accredited Snow Contractor Association (ASCA), the Ohio Nursery and Landscape Association (ONLA), the National Association of Landscape Professionals (NALP, formerly PLANET), and the Snow and Ice Management Association (SIMA), just to name a few. Not only does staying connected with local vendors and specialists in the industry help us obtain the best products for our clients, but communicating with other landscaping businesses both locally and nationally also helps us keep our fingers on the pulse of where the industry is headed. This in turn, ensures that we’re on the forefront of using the most advanced technology and practices to better serve our customers. 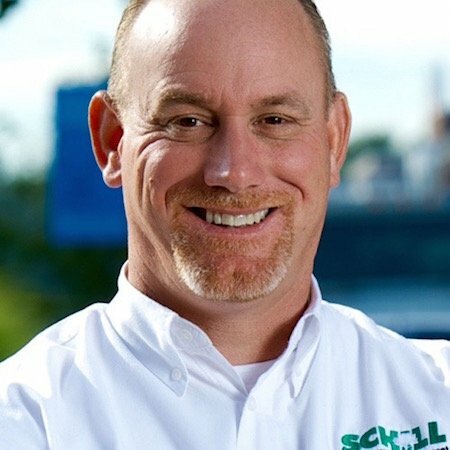 In addition to training they receive on the job, every new Schill team member is required to take several training courses for both landscaping and snow removal, taking anywhere from 10-14 hours per worker. Also, we encourage everyone to continue learning through additional industry trainings, which you can learn more about below. One great way for a company to show that they’re working to learn and improve is to gain certifications. All programs are not created equal, however, because they each require different amounts of coursework and examinations. So, it’s important to remember that if you see a certification that you don’t understand when hiring a grounds maintenance provider, make sure to ask about what was involved in obtaining it. How many employees participated in getting certified? Who within the staff is certified? Will they be working on your property on a regular basis? Each of these questions will help you understand the direct impact these certifications will have on your property. In 2016, Schill became the 22nd company in the country to become ISO certified and just the 2nd in the state of Ohio. This certification requires that we have processes in place to quickly respond to snow-related service requests and issues, and also that we follow up with our customers to make sure they're satisfied with our service. In preparation for the winter season, our staff is also required to complete dozens of hours of training in topics related to safe snow and ice removal. In fact, for several months in 2017, Schill Grounds Management had the highest number of ASCA certified staff in the country. We also have many Landscape Industry Certified Technicians who have completed rigorous training and examinations in turf maintenance and plant installation. One of the best ways to learn and grow is to teach. For several years, our president Jerry Schill (me) has been a member of the National Association of Landscape Professional’s Trailblazers Program. This allows me to mentor the leaders of younger and newly established landscaping companies by inviting them to our headquarters to see how the company runs and by answering their questions throughout the year. If you’re reading this article, you’re already a little bit familiar on our blog. Though most of the content is exclusively crafted with commercial property managers in mind, our posts on landscaping and snow removal have also been lauded by other professionals in the industry. In addition to publishing articles regularly on our blog, we also have several checklists, whitepapers, and eBooks for anyone looking to get a larger return on investment for their property. 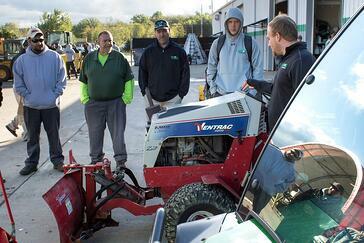 Want to talk to some landscaping and snow removal experts? Hopefully this article has shown you how seriously we take expertise. In the years to come, we plan to grow regionally, which will allow us to service our existing customers who have properties in other markets. To start, we opened our third location in Sandusky, which, even though it only opened a few years ago, is already a major player in North Central Ohio. If you have any questions about finding a landscaping company who CARES or learning more about how to leverage anything we’ve talked about in this series as an existing customer, please don’t hesitate to reach out to us.